That’s just the reaction UK hoped the community would have. 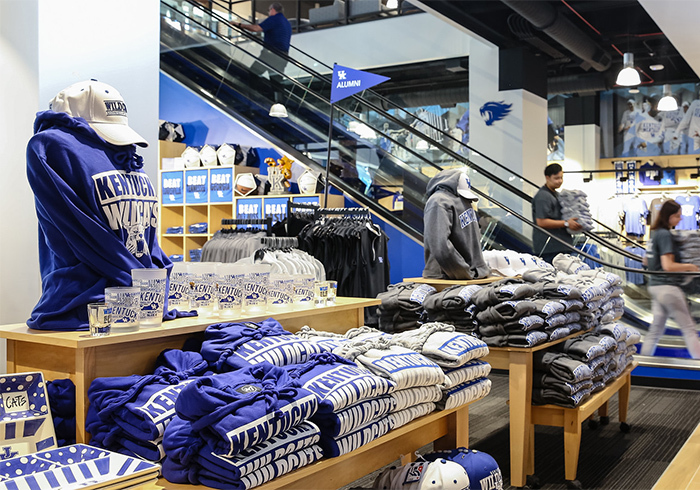 The university wanted to retain a brick-and-mortar store, but it also wanted a solution that would be fully outfitted with technologies and services that have radically altered retail and education over the past decade. 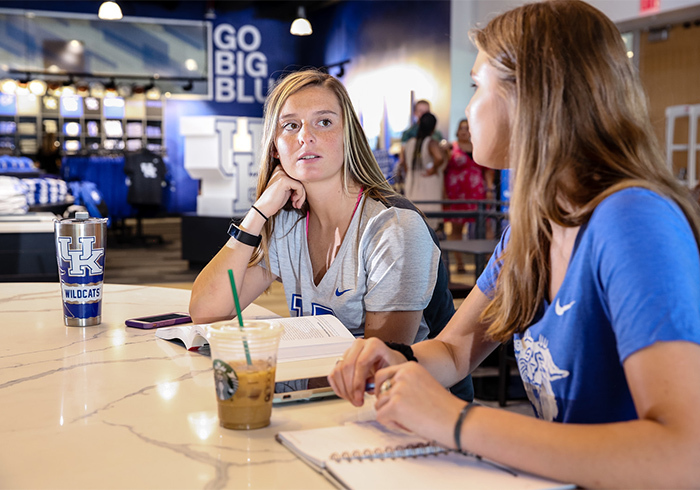 It turned to Barnes & Noble College with high expectations and it hasn’t been disappointed, according to James Frazier, the University of Kentucky Executive Director for Risk Management and Administrative Services. When Barnes & Noble College first arrived three years ago, the old student center was in the process of being demolished. The company set up a spacious tent — with heat and air conditioning — to serve as a retail environment during the transition. 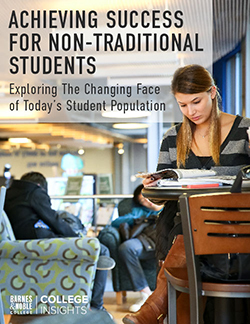 Even while operating from a temporary location, the store became a critical part of campus life. 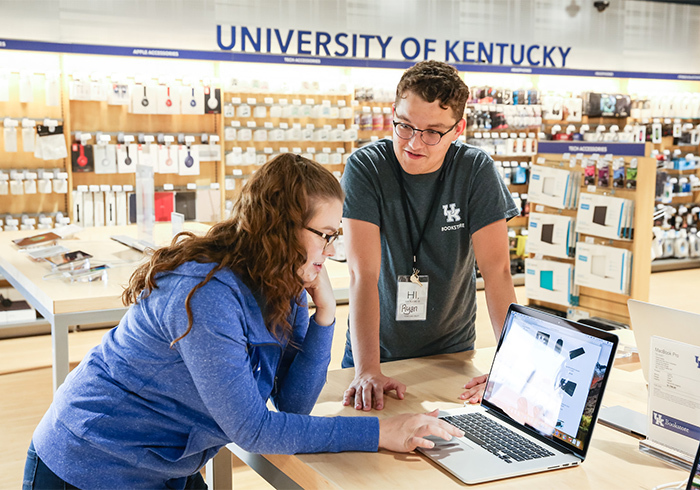 Lang said UK officials have been “fantastic partners.” He believes some of the success can be attributed to Barnes & Noble College and the university’s shared wish to further and protect UK’s brand. 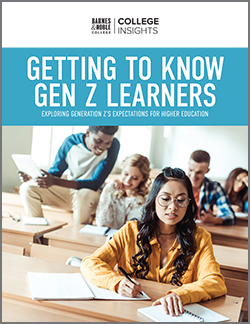 For Lang, that means staying ahead of the curve so that UK has the latest offerings in digital learning, courseware and affordable course material formats. It also means stocking general merchandise that caters specifically to the UK community. “We want to be a provider that’s leading the way. To me, that’s an exciting challenge. We built this beautiful bookstore, and I want to make sure it’s the place people want to visit — the place people can rely on for what they need. We want them to keep coming back,” said Lang. With more collaboration like this, the UK community will have reason to celebrate for years to come.